We are at day 130 post-transplant. At this point, Beth has virtually no complaints except for blurriness of vision. 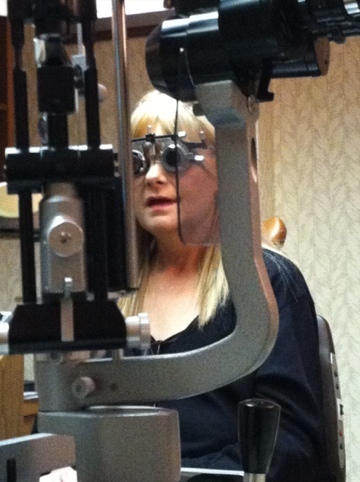 So Dr Rossetti sent up to the ophthalmologist to make sure there are no infections in her eyes. We’re not done yet, but I got a cool photo, so I thought I’d share it.